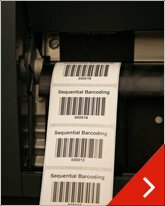 Able Label | Manufacturer and distributor of thermal transfer and direct thermal labels. We offer Thermal Transfer Paper, Kraft, Polypropylene, Polyester, Circuit Board, Polyimide Circuit Board, Piggyback and Vinyl Labels with Ultra Heavy, Permanent, Removable and Ultra Removable adhesives. Labels are available in 7 different border and 13 different flood colors. We stock 8” outer diameter on a 3” core and 5” or 4” outer diameter on a 1” core, but we can match your printer specifications by supplying any of these labels in 8", 6", 5", and 4" outer diameter rolls on 3”, 1 ½”, 1”, or ¾” cores. At Able Label, we have three categories of Thermal Transfer Ribbons in stock: Wax, Wax/Resin and Resin. These are available for Datamax™, Zebra™, Intermec™, and are compatible for use with many other brands of thermal transfer printers. 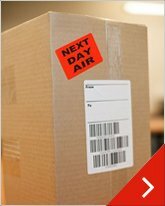 Our Direct Thermal labels are available in standard paper and Polypropylene materials. 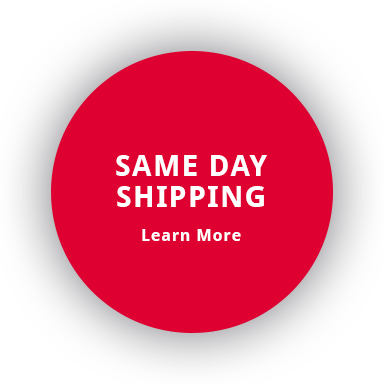 We offer White, Flood colors, standard sizes, shipping and DYMO® Compatible Labels in both materials and either permanent or removable adhesives. 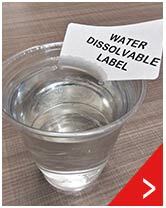 Able Label also has Direct Thermal Ultra-Removable and Piggyback Labels in stock and ready to ship the same day. We can match your desktop or mobile printer specifications by supplying any of these labels in 8", 6", 5", and 4" outer diameter rolls on 3”, 1½”, 1”, or ¾” cores. 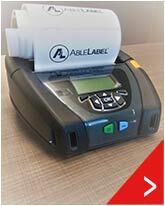 Able Label is a US manufacturer and worldwide distributor of thermal transfer and direct thermal labels. Founded in 1985, Able Label created one of the first commercial uses for on-demand, individually printed labels. We focus on providing high-quality materials specifically designed for a large variety of businesses. 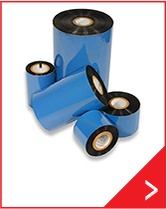 Our products include Thermal Transfer and Direct Thermal Labels on rolls made from more than 20 materials in a vast assortment of colors, with over 150 sizes and shapes in stock; usually ready to ship the same day. ​Able Label in the News - Read about us in the Greater Spokane Incorporated (GSI) News Blog.